Here at Fox Valley Animal Hospital we run a cat adoption program to help recycle and save lives . We usually always have a kitten or two in need of a new family. Please contact the hospital or check out and ‘Like’ our Facebook page for more information. We do charge for our re-homing animals however we do not make a profit. We try and find the RIGHT home for our adoption cats, not just A home. 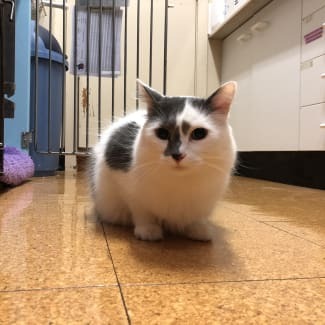 Come visit us at the hospital and take your time getting to know our adoption cats. The nurses have been "fur mum" to our adoption cats and they are the best people to speak to about their individual personalities. 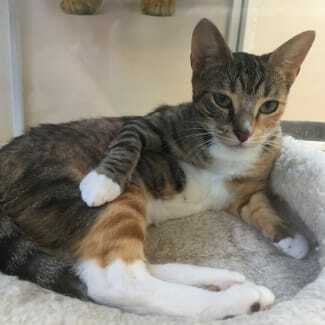 The adoption fee is $420 for males and $450 for females this includes de-sexing, vaccinations, microchipping and double registration, 6 months worth of flea and worm treatment, a bag of Royal Canin premium kitten food, a packet of teeth cleaning Greenies, zoom groom brush, catnip toy and 4 weeks pet insurance cover note.